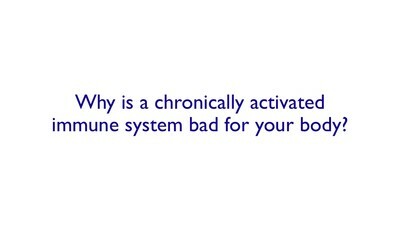 Inflammation occurs when our immune system, designed to protect our bodies from external pathogens, is activated. Under normal circumstances, once it has been activated and the infection has been eliminated, it returns to its normal inactive state. However, when inflammation is triggered, and sustained, for the wrong reasons, the result is chronic inflammation, in effect a condition where inflammation is "stuck" in its active state. This is then classified as an inflammatory disease." There are hundreds of such diseases, including autoimmune diseases, allergies, and complications due to infections and other chronic conditions. 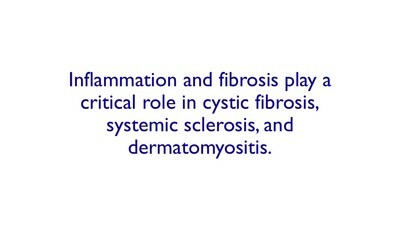 While some inflammatory diseases are very common (e.g. 17% of Americans suffers from eczema, 20% suffer from asthma), our initial focus is on a large subset of inflammatory diseases that are less common but more serious. These rare diseases are categorized as "orphan diseases," meaning they affect no more than 200,000 patients in the United States. There are over 150 orphan inflammatory diseases many of which are incurable and terminal. Corbus Pharmaceuticals is a Phase 3 clinical-stage pharmaceutical company focused on the development and commercialization of novel therapeutics to treat inflammatory and fibrotic diseases. by leveraging its industry leading pipeline of endocannabinoid system-targeting drug candidates.